(see pictures below) Today, there are 5 churches in Punjab and in June, 2019 five more pastors will be trained and their churches launched. Over a 500% increase in just four years in that state alone. We believe that coming alongside native Christian ministries, by developing trusting partnerships based on accountability (without control), is the most effective way to further God's kingdom in areas of the world where Christians are in the extreme minority. Today, Kerusomen USA suppports 24 pastors in 6 different states of India providing 40% of their living expenses each and every month. The map below outlines the trip from Trivundrum, Kerala, home of Kerusomen Gospel Ministries India to Punjab which is located on the Pakistan border. By air the travel distance is 1397 miles. 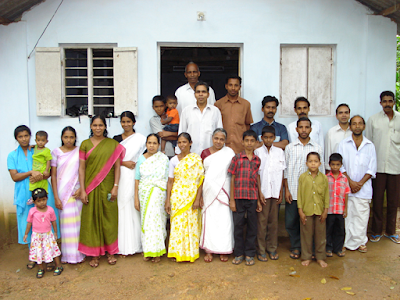 Kerusomen supports 24 pastor ministries in various locations all over India. Currently there are 36 Kerusomen funded pastors in 6 states of India. Another 5 churches are due to be launched in June, 2019. $50 a month supports a pastor in his efforts to fulfill the Great Commission. There are 17 more pastors right now in need of help. You have a heart for the lost. Here's how you can make a lasting impact. Just write "India Pastors" if God leads you to support this effort.